LePort Montessori is always looking for dedicated education professionals to join our family of schools! If you are interested in pursuing or continuing a career in education, we encourage you to complete this application to be considered for any future or existing openings with our Brooklyn, New York campus, located in the Cobble Hill district. LePort Montessori was founded in 2000 by a parent (Dr. LePort), who fell in love with the Montessori Method for his own children. From these humble beginnings, LePort has embraced a mission of growth. We now have 20 schools across California, Northern Virginia and Brooklyn, New York. Our mission is to honor the esteemed legacy of Maria Montessori by providing an authentic Montessori education to our students, as guided by our devoted staff. We would love to have you grow with us! To continue the application process, please answer the questions below to help us get to know you better. Our Mission Our Goal: A Student who Flourishes as a Joyous Child Today, and as a Successful Adult Tomorrow At LePort, we help our students acquire the essential knowledge, thinking skills, and strength of character required to flourish as joyous children today, and as successful adults tomorrow. Our unique program emphasizes the relationship between the academically challenging material presented in the classroom, and the breadth of experiences children have in their lives outside of the classroom. With the wealth of knowledge they gain at LePort, students are able to understand and delight in both the wondrous world around them and their burgeoning personal identity within. 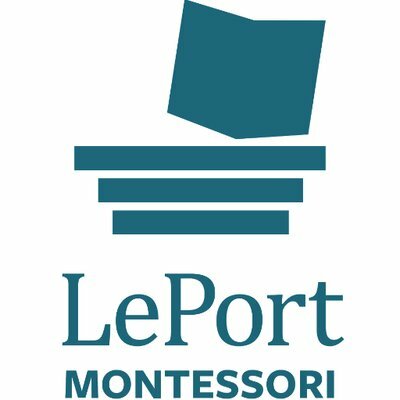 Want to learn more about LePort Montessori? Visit LePort Montessori's website.